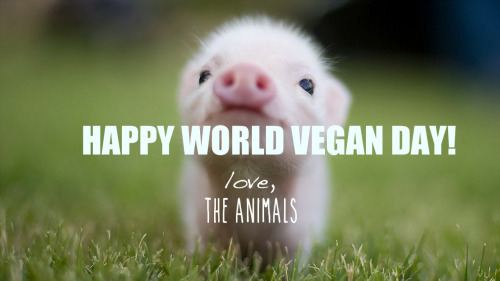 November 1st is World Vegan Day, and, of course, October 31st is Hallowe’en! To start off this show, we briefly discuss how human superstitions have affected and continue to affect certain types of animals, often in negative or even violent ways. Our focus is on animals traditionally associated with Halloween, namely black cats, black dogs, and owls. Right now is Co-op Radio’s Fall Member Drive. Fall in love (again) with Co-op Radio and pledge a donation or membership in any amount! Go to Co-op Radio’s Website to donate, and please make sure to cite Animal Voices as your favorite show! Colleen Patrick-Goudreau is a recognized expert and thought leader in the culinary, social, ethical, and practical aspects of being vegan. Colleen is the author of seven bestselling books, including The Joy of Vegan Baking, Color Me Vegan, and The 30-Day Vegan Challenge. She is an acclaimed speaker who has made numerous appearances on national television in the US, and is the host of the inspiring podcast, “Food For Thought,” voted Favorite Podcast by VegNews Magazine readers. In this episode, we speak with her about World Vegan Day and how veganism can help us achieve justice for nonhuman animals.